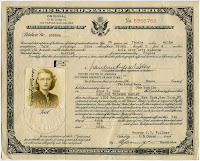 Brandeis University Archives & Special Collections recently received a wonderful donation of the papers of Pauline Trigère, given by her family. A French Jew of Russian descent who immigrated to the United States just before World War II, Trigère was an acclaimed fashion designer who made an indelible mark on the industry for well over fifty years. 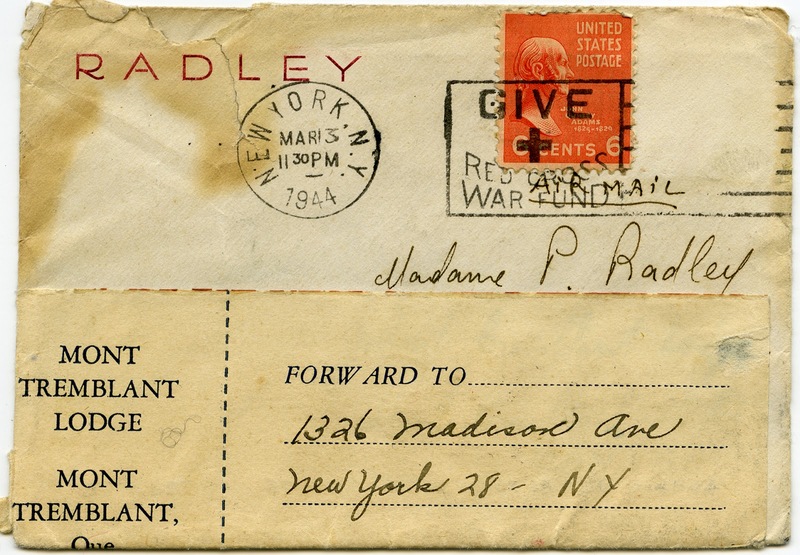 Ranging from her 1908 birth certificate to a clipping of her 2002 New York Times obituary, the materials at Brandeis give an intimate look at the life and work of the woman once described as “the grande dame of American fashion.”(1) This collection of .5 linear feet includes a mixture of correspondence, both personal and professional—aptly mirroring her life, as, for Trigère, these worlds were inextricably linked. With a tailor father and a dressmaker mother, Trigère had fashion in her blood. She grew up in Paris assisting her parents and trained as a cutter at Martial and Armand in Place Vendôme before marrying Lazar Radley, also of Russian-Jewish extraction. 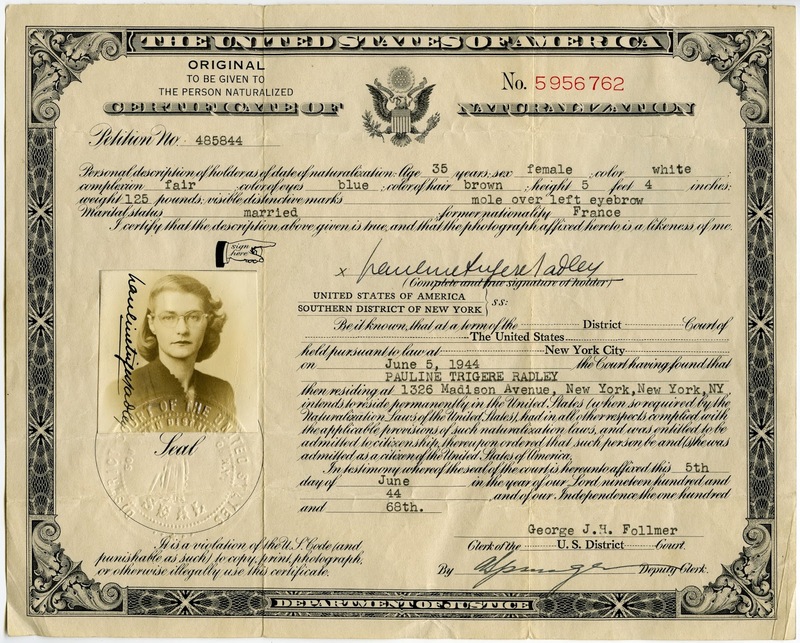 In 1937, she, Radley, and their sons, Jean-Pierre and Philippe, left a Europe that had become increasingly unsafe for Jews and settled in New York. Having fallen in love with Manhattan, Trigère, her husband, and her brother (Robert, often called Sioma) opened a tailoring shop. When she and Radley separated in 1941, Trigère assisted at Hattie Carnegie while working with Sioma to build the Pauline Trigère line. In 1942, she created a collection of eleven looks, and, with her brother by her side, took the fashion world by storm. Within a few years, Pauline Trigère designs were the thing to be seen in. Sioma continued as her business partner, and, soon, Jean-Pierre also came to play a key role in his mother’s fashion house. This collection draws an intriguing portrait of a fascinating woman, and it will be of interest to scholars in a number of fields. (1) Morris, Bernadine, “Honoring Trigère, at a ‘Family’ Reunion,” New York Times, October 1, 1992. (2) Morris, Bernadine, “The Black Models—Success is Beautiful,” New York Times, January 18, 1974.